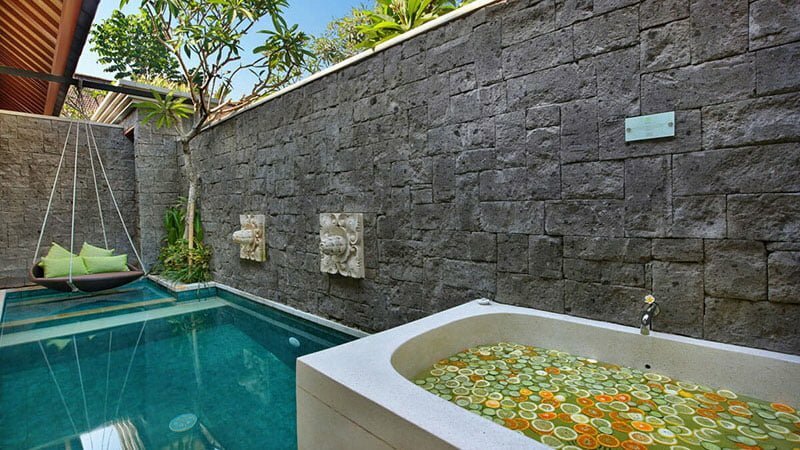 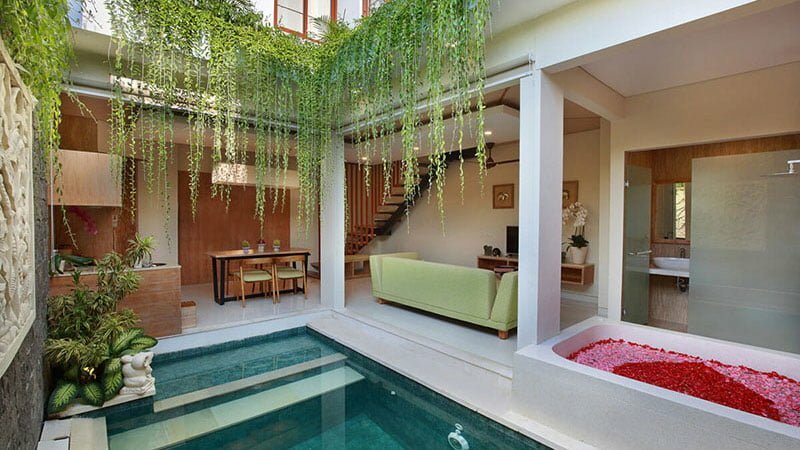 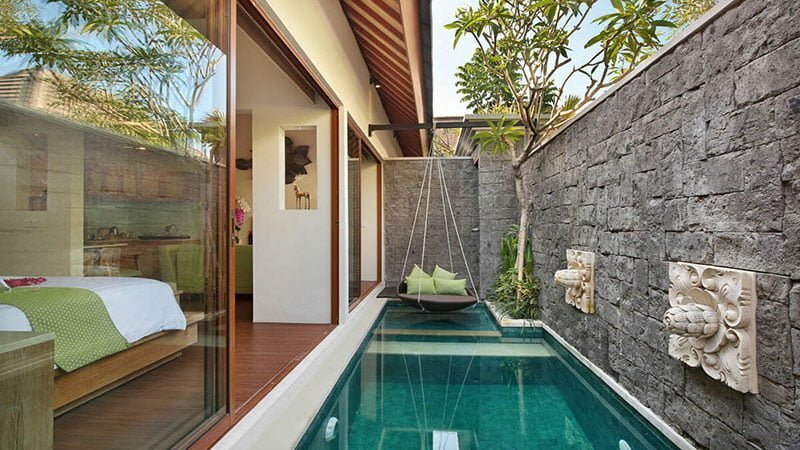 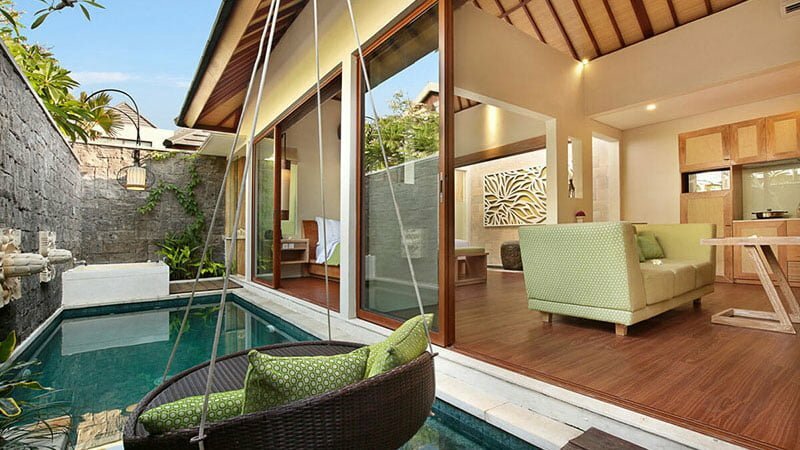 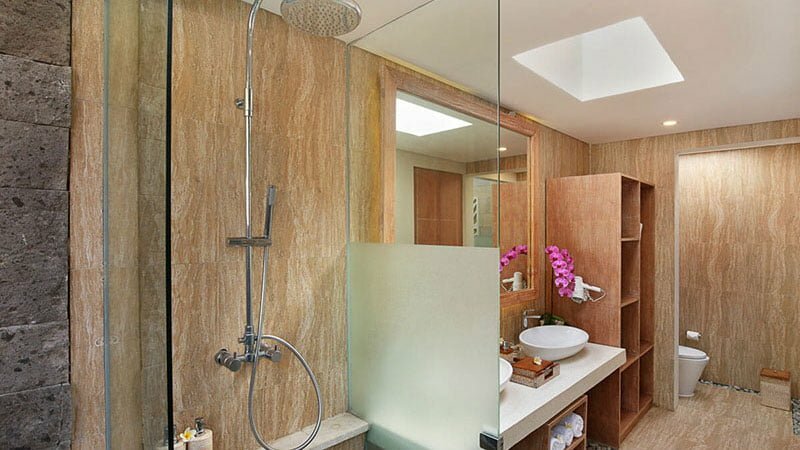 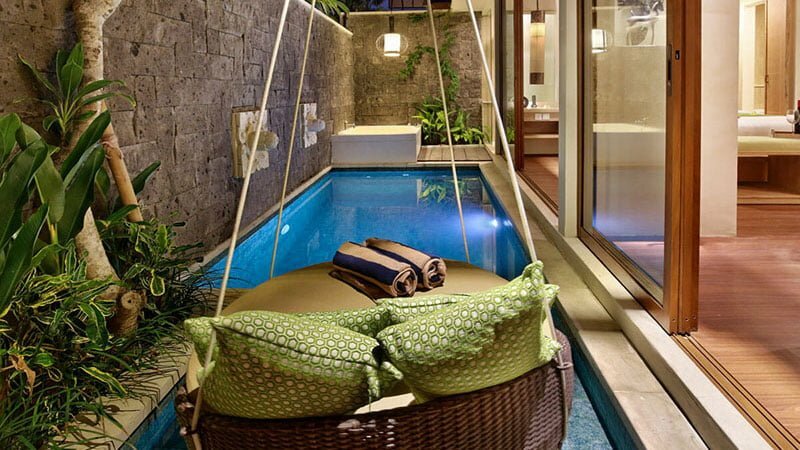 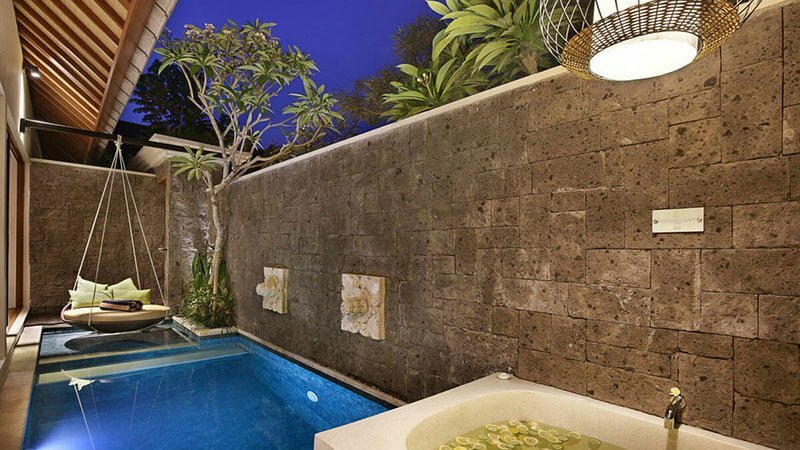 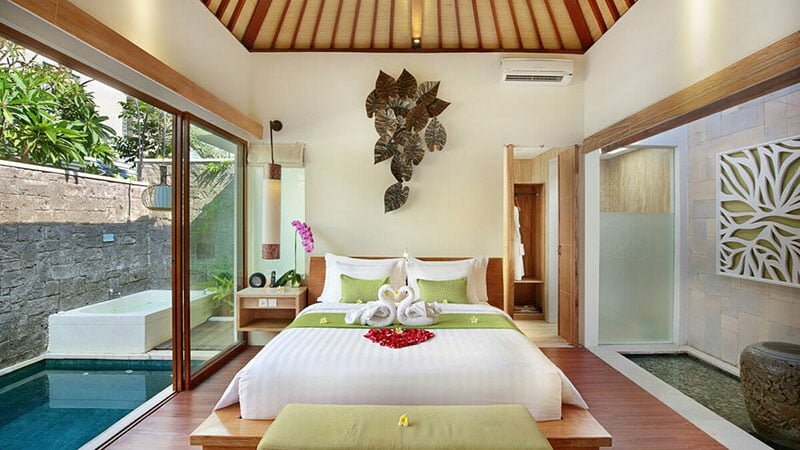 Ini Vie Villas is a contemporary villa complex in the ever-popular town of Legian, just a few minutes from Seminyak. 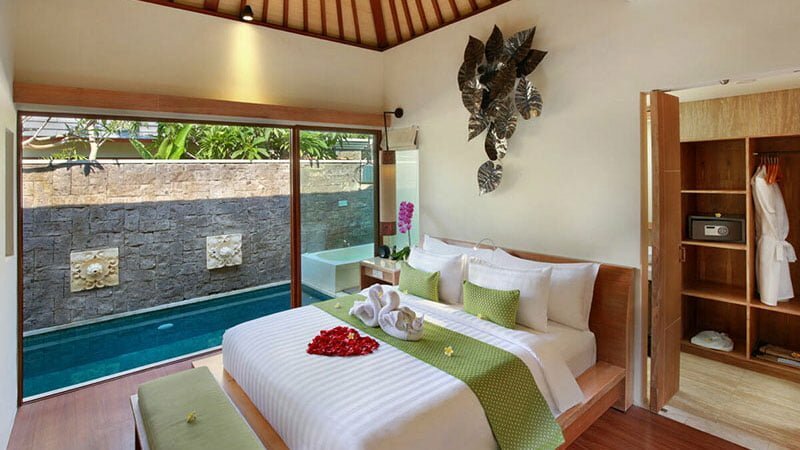 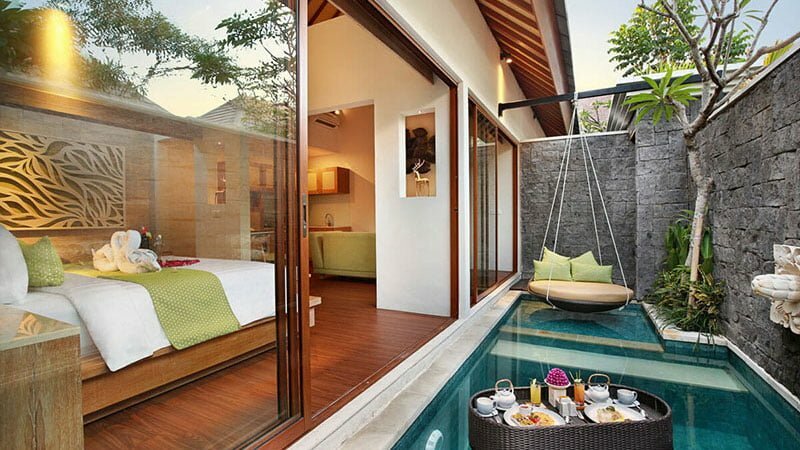 The 1 bedroom villa features a private pool and Jacuzzi – ideal for relaxation under tropical skies. 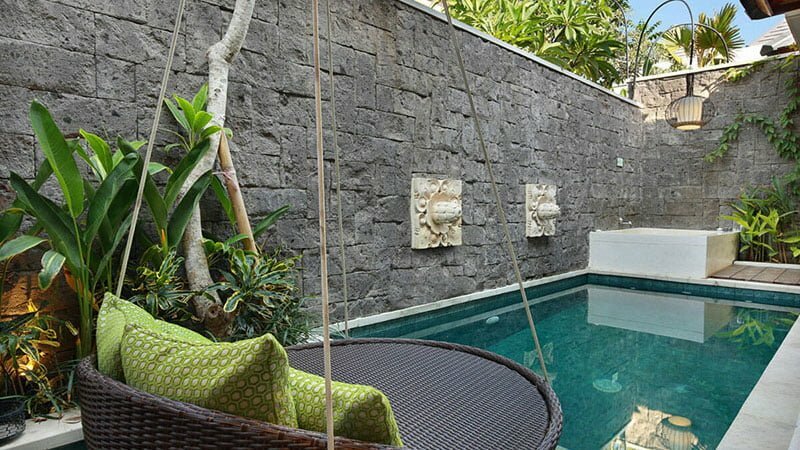 The villa fuses traditional design features with contemporary living to provide a stylish and comfortable option for your stay on the Island of the Gods. 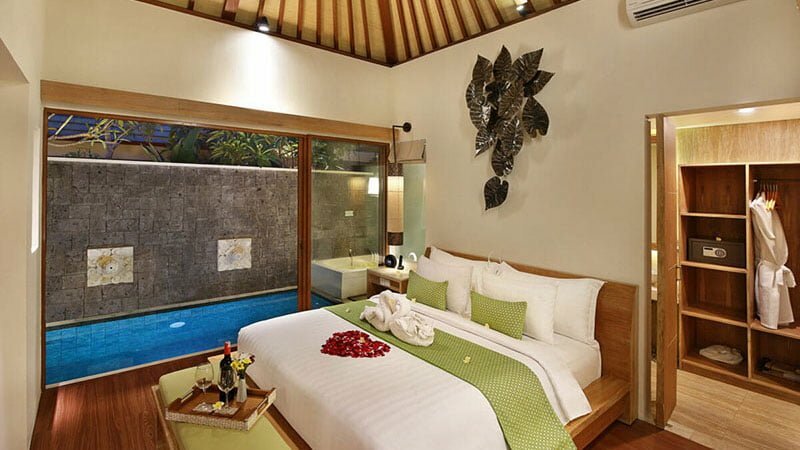 The bedroom features a king sized bed and air conditioning and ensuite bathroom ensuring comfort and convenience. 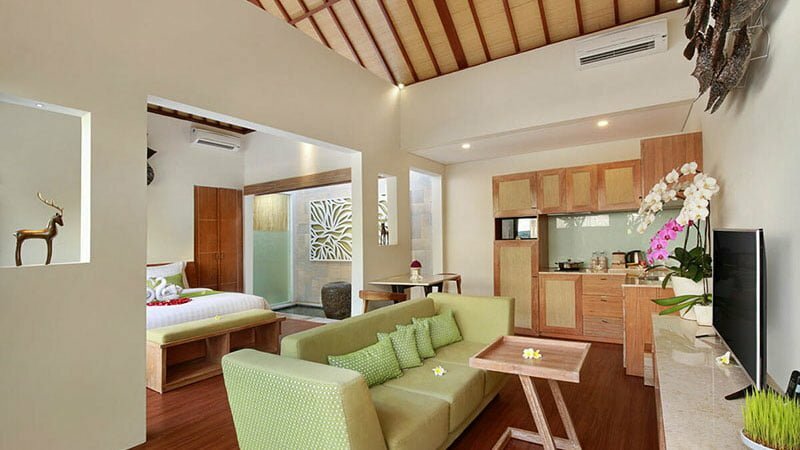 There is a kitchen are, offering the option of self catering and lounger are with sofa and full entertainment system, including TV with international channels. 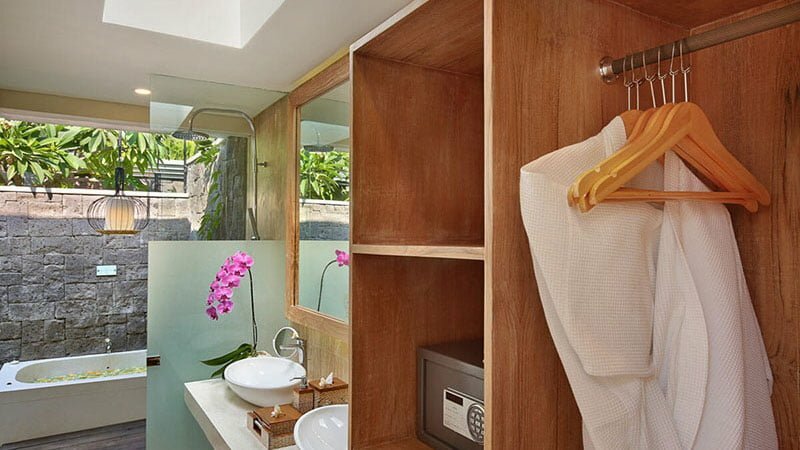 WIFI is complimentary and found throughout the property. 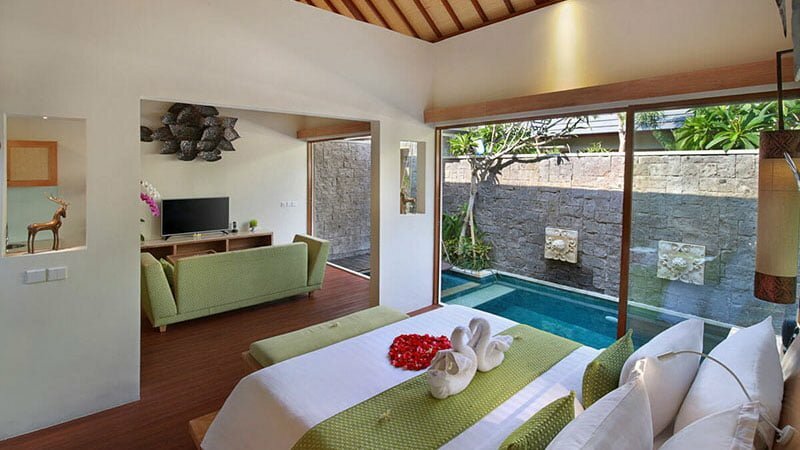 The villa complex staff are on call 24 hours a day to ensure that your stay is perfect and guest benefit from 20% discount on treatments at the on site spa. 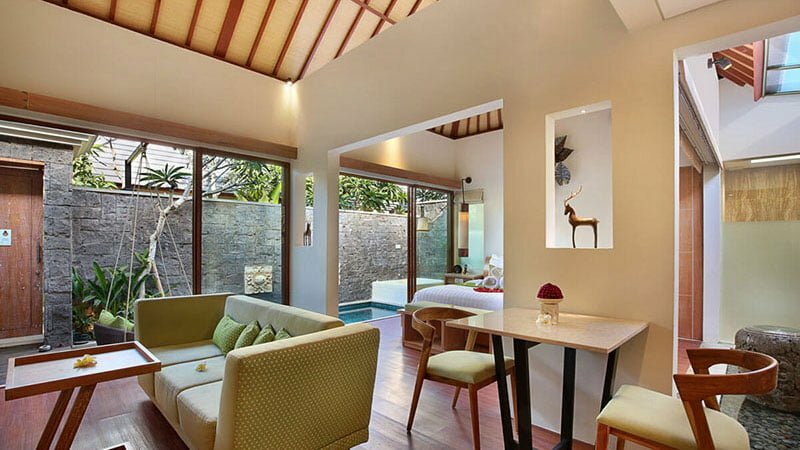 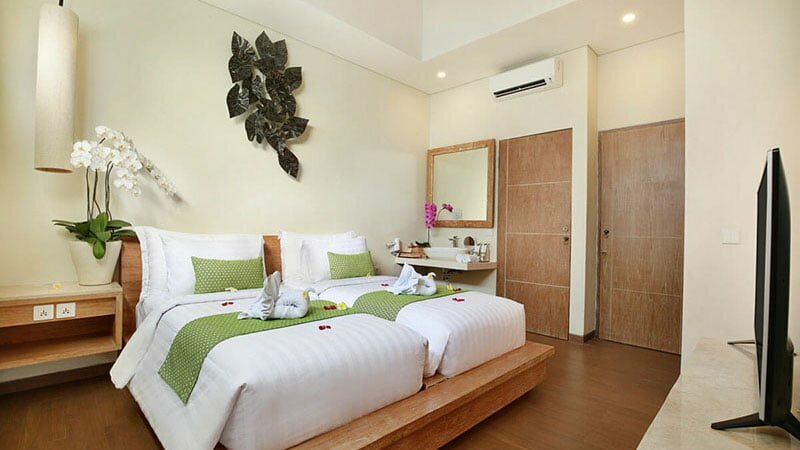 Daily breakfast is included, and a scheduled shuttle bus to the beach and central Seminyak are additional features of this great option for your holiday accommodation.